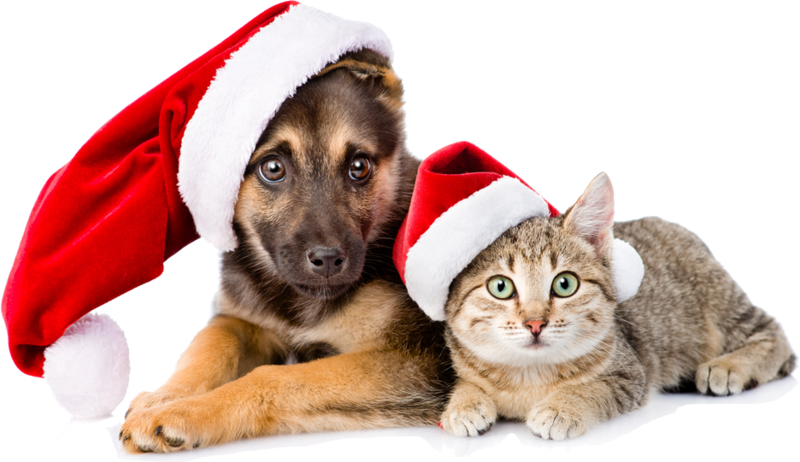 With Christmas just around the corner, the PDSA (our chosen charity of the year) have put together some tips on how to keep your pets happy and healthy during the festive season. Minimise their stress, by making a quiet, cosy ‘den’ in advance. For dogs, put it behind a sofa in a quiet room. For cats, put it securely on a shelf or chest of drawers: they feel safest when high up. Encourage them to go into their den. Give them healthy treats or praise when they’re relaxed in the den. They will learn to view it as a pleasurable and calm place, where they can escape all the bustle and noise. Place a pheromone diffuser nearby. This will emit calming scents which only pets can smell. 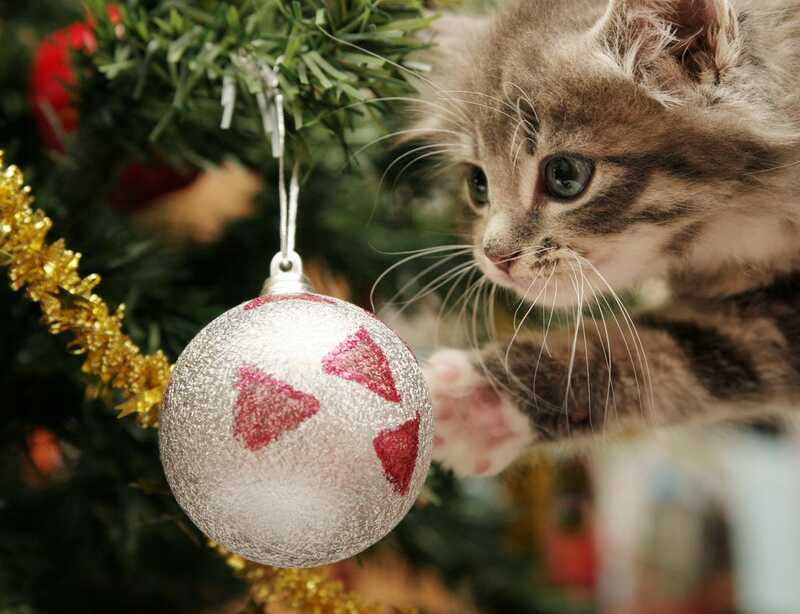 Supervise your pet in rooms containing trees and presents: keep an eye on them as you would a young child. Keep doors closed when you’re not around. Distract them by allocating some ‘pet playtime’ instead, with suitable toys. Take dogs out for a good run around. Play with your cat using fishing rod-type toys. Remove wrappings, wires as well as toys and batteries after opening. They may cause choking as pets often explore new items with their mouths. Batteries can also cause internal burns if they are swallowed and start leaking. Keep kitchen doors closed so pets can’t get under your feet. With a big Christmas dinner on the go, full of hot ovens and boiling pots and pans, they are more hazardous places than usual. 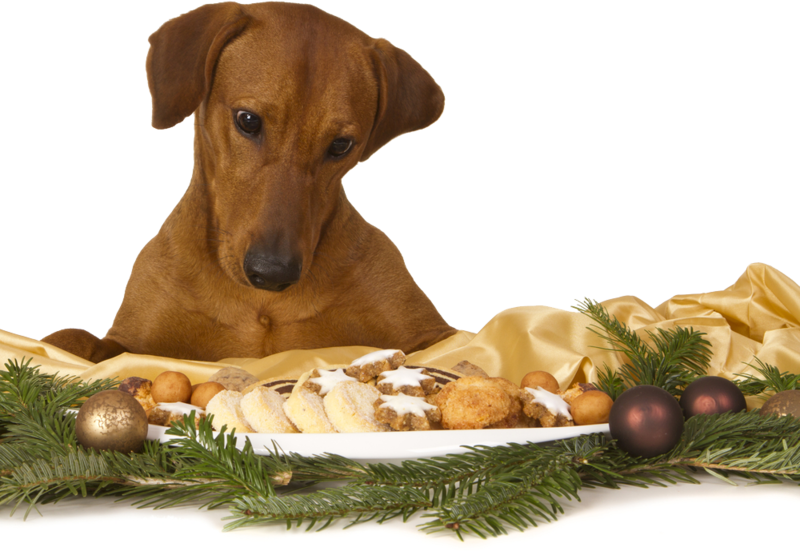 Keep Christmas food out of the way of pets. Whilst you snooze, they cruise. They’ll sniff out extra treats, but whilst you may feel relaxed about it, as it’s Christmas after all, they can be hazardous. Human food leads to pet obesity. Pets can also choke on turkey bones. Onions, raisins and certain nuts can even be poisonous. Sage and onion stuffing, Christmas cake, chocolate and mince pies can also be harmful. Don’t let any your pets stay outside in freezing temperatures for a lengthy period without access to shelter and warmth. 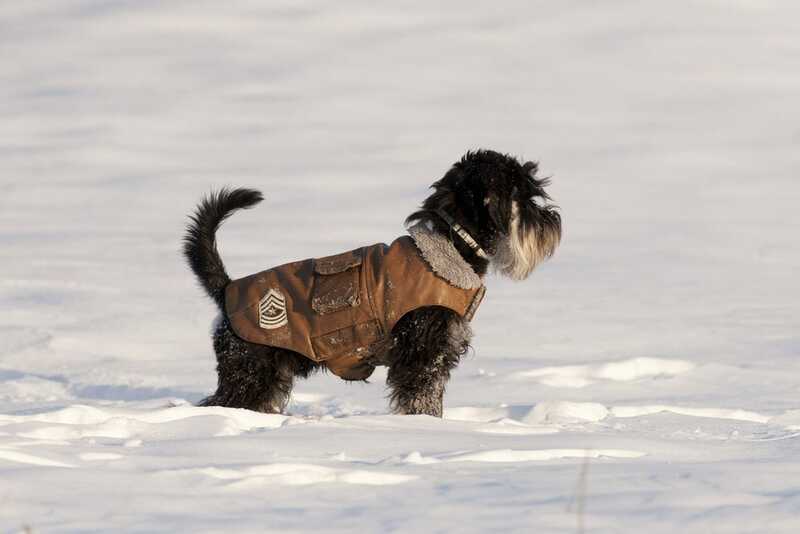 Give a warm dog coat in colder weather if your dog is going to be susceptible. Immediately remove your pet from the cold. Take them into warm, but not hot, surroundings: warming up too quickly can be harmful. Call your vet and follow their advice. Dry them gently with a towel if they are wet. Either use a hot water bottle wrapped in a towel. Or use a hair dryer on a low heat, keep it a moving and hold it at a distance from your pet’s fur, as you would for yourself. Your vet will probably advise bringing your pet in for an appointment. It’s important to do this, even if your pet seems to have recovered. Knowing what to do in any emergency can mean the difference between life and death for our pets. Over the festive season it’s more important than ever to make sure you are well prepared in case your pet suffers an accident or injury. Take a look at the First Aid section on the PDSA website or download their first aid leaflet. Don’t forget about smaller pets either, e.g. rats, rabbits, guinea pigs and ferrets. Let them join in the festivities: offer them some of their favourite food wrapped in brown paper. Figuring out how to get to the food is a great challenge to occupy their inquisitive minds. Using relevant objects and puzzle feeders helps animal wellbeing and prevents boredom. This is called ‘environmental enrichment’ – a term often associated with zoos – but it’s equally important for our pets. 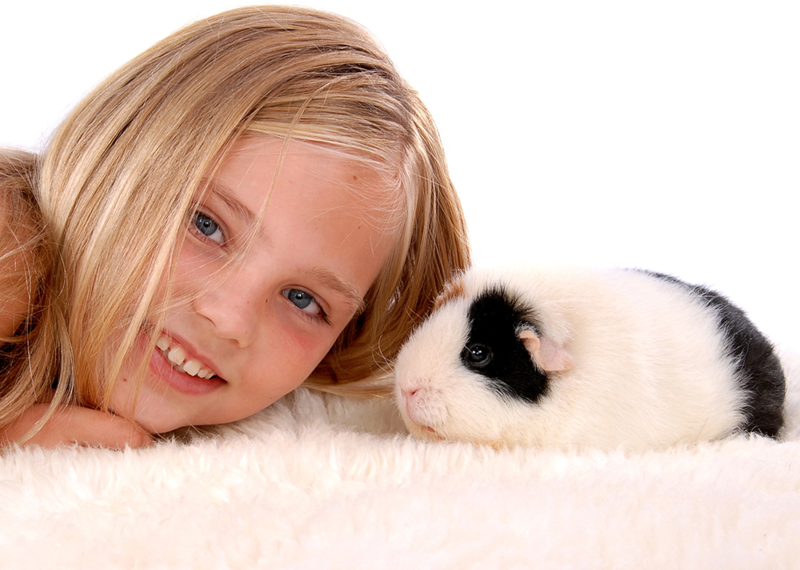 House guinea pigs and rabbits indoors in winter. A warm shed or a car-free garage is ideal, but they should still have access to natural light and an exercise run. Give them extra bedding in the hutch to help keep them warm. Put a blanket or piece of carpet over the hutch to help keep it warm. Make sure this doesn’t obstruct the ventilation. Check water bottles every day to make sure they aren’t frozen. If you have to move the hutch in to your home, make sure it’s kept away from other pets, stressful noises and smoky atmospheres.